The DJIA index dipped 104 points Tuesday. Why the decline? Expectations for a faster rate increase by the Federal Reserve outweighed improving economic data. What Moved the DJIA Index Today: The markets are anticipating the possibility of an interest rate increase in June, as better than expected economic data continues to emerge from government reports. St. Louis Federal Reserve President James Bullard called for a raise in interest rates during a speech this morning in London. San Francisco Fed President John Williams also spoke out in favor of raising rates sooner than later. New home sales hit a seven-year high in February, a sign of surging demand in the housing market. Existing home sales were also up 1.2% in February despite bad weather and a historically quiet month for the markets. 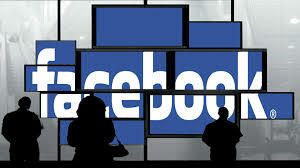 Getting Social: Shares of Facebook Inc. (Nasdaq: FB) hit a new all-time high today, gaining more than 1% on the day. FB shares continue to surge on news that it will partner with several leading news publications to provide content directly in a user's Facebook page. Last week the Facebook stock price had its biggest weekly gain in eight months, and today's new record has made Facebook the 16th largest company in the world by market capitalization. Greek Tragedy: On the international front, alarm bells are sounding over the economic soundness of Greece. According to multiple reports, the nation could run out of cash by April 20 unless Europe finds another source of capital. EU leaders have been gathering all week to discuss more economic reforms; however, it remains unclear if Greece's new political leadership will allow further concessions. Signs of a default could soon be on the horizon. Deutsche Bank (NYSE: DB) reported that the nation might fail to repay a $502.5 million loan from the International Monetary Fund, which is due April 9. Cutting Back: Google Inc. (Nasdaq: GOOG, GOOGL) stock jumped more than 2.5% today on news that Morgan Stanley's (NYSE: MS) CFO Ruth Porat plans to leave the bank to join the tech giant. Wall Street analysts say Porat's hiring signals that Google is planning to slash its soaring internal costs. In 2014, the company's growth in expenses outpaced revenue growth by percentage, news that rattled analysts and fueled a downturn in the company's stock. Debt Bubble: Shares of Whiting Petroleum Corp. (NYSE: WLL) cratered 20% today on news the company is taking drastic measures to resolve its $6 billion debt burden. The oil producer will offer 35 million shares and roughly $1.75 billion in notes and convertible notes. The deal is part of a broader problem plaguing the energy markets, as oil companies are scrambling to resolve their debt issues in the wake of plunging oil prices. Money Morning Global Energy Strategist Dr. Kent Moors explained this threat recently, and, most important, how you can profit. Delivery Deal: Shares of Amazon.com Inc. (Nasdaq: AMZN) were down marginally this afternoon on news that the Federal Aviation Administration approved the wrong drone for testing of the company's Prime Air delivery service. According to reports, the drone the FAA approved is no longer in testing, and the company is moving onto new prototypes to test. Apple a Day: Apple stock dipped roughly 0.4% this afternoon. Shares of Apple Inc. (Nasdaq: AAPL) have seen increased momentum this week after a report from Gartner reported it expects total device shipments to reach nearly 2.5 billion units in 2015. According to the report, mobile phones will comprise 78% of total devices shipped, good news for the world's largest seller of such devices. News also broke that Apple is working with automaker BMW to create connected car services in the company's newest models. Money Morning Tip of the Day: You can profit whether the Fed raises rates in June, October, or next year by owning stocks that are capable of withstanding rate shock. As expected, the U.S. Federal Reserve didn't raise interest rates at its Federal Open Market Committee meeting that wrapped up last Wednesday. Fed Chairwoman Janet Yellen said the central bank will not hike rates until it sees more improvement in the employment situation and higher inflation in the months ahead. But the central bank did remove the word "patient" in describing its stance on how it will approach interest rates in the coming months. Now, investors are scrambling to determine the Fed's timeline and position accordingly. As Money Morning Chief Investment Strategist Keith Fitz-Gerald recently explained, the best way to prepare for a Fed rate hike – whenever it may happen – is to invest in companies that supply services and products that are indispensable to humanity. Such companies are recession-resistant, even immune. Becton, Dickinson and Co. (NYSE: BDX) develops, manufactures, and sells medical supplies and devices, diagnostic products, and lab equipment. It taps into Demographics, one of Fitz-Gerald's six Unstoppable Trends, as the aging global population will create a huge demand for BDX's healthcare services. It offers a dividend yield of 1.70%. American Water Works Company Inc. (NYSE: AWK) provides water and wastewater services to residential, commercial, and public consumers in the United States and Canada. Everyone relies on running water, so AWK is a perfect "must have." Demand for its services will increase as the world's population grows. Its dividend yield is 2.40%.